Lionel Messi has reportedly told Barcelona manager Ernesto Valverde to set out his squad to make Real Madrid chase the ball, and that they have the perfect man in Arthur Melo to help them achieve this. 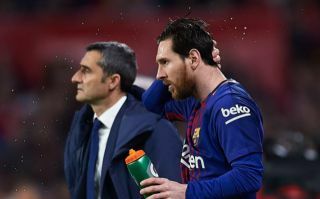 This is according to Don Balon, who note that the Messi has advised the Blaugrana boss to not experiment in Sunday’s ‘El Clasico’ clash against Los Blancos, and that Messi has requested that Arthur start the match. The report also notes that Messi’s teammate, Sergio Busquets, has also advised Valverde that Arthur could be the player Barca need to beat their fierce rivals at the Nou Camp on Sunday. Arthur Melo has been a huge hit ever since he signed for Barca from Gremio this past summer. The Brazilian seems to understand Barcelona’s play style to a tee already, despite only being at the club for a few months. The midfielder’s displays have also seen some fans liken him to club legend Xavi, stating that he could the be heir to the Spaniard’s throne at the Nou Camp, however we think it’s a bit early for that yet. 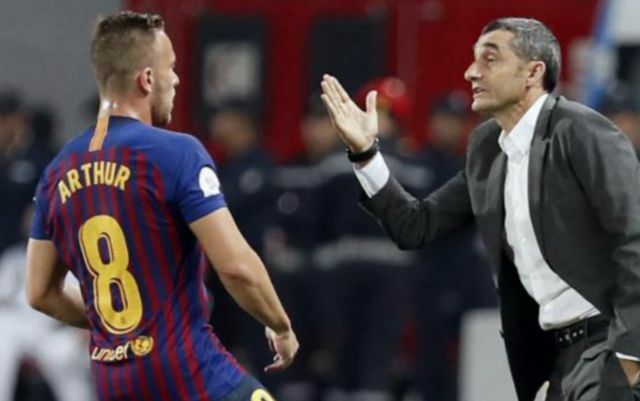 Arthur has shown that he definitely has the ability to keep the ball and maintain possession under pressure, something that could prove to be vital if Barcelona end up favouring a possession-based game plan for ‘El Clasico’.